Virginia Career Works – Northern is a team of private and public sector partners who share a common goal-to promote Northern Virginia economic prosperity and long-term growth. The board receives and administers annual Federal Workforce Innovation and Opportunity Act (WIOA) dollars that help fund comprehensive employment and training services to area employers, job seekers and youth. 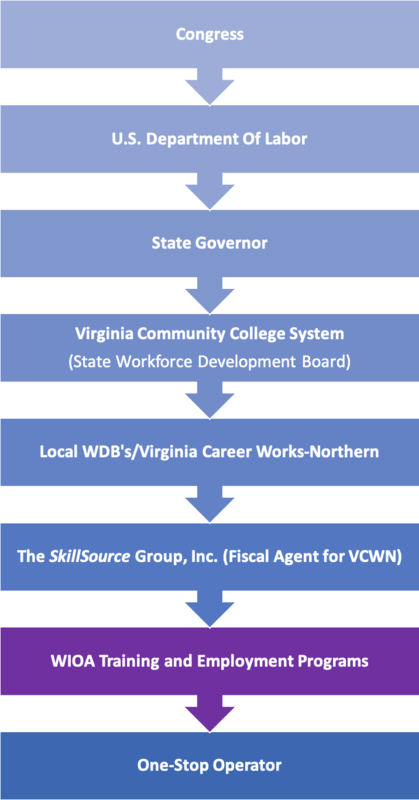 The SkillSource Group, Inc. (SSG) is a separate nonprofit entity of the Virginia Career Works – Northern with its own Board of Directors. SSG shares in the mission and goals of the Virginia Career Works – Northern, while also serving as fiscal agent and an entity that pursues additional funding sources for the board. These dollars further sustain and create workforce development initiatives for all current and future employers, job seekers throughout the region. Virginia Career Works Northern and its partners operate (7) Career Centers in the Northern Virginia Region.” Knowledgeable center staff assist employers, job and career seekers, and youth with a comprehensive range of free employment, training, and career development services. One-Stop Centers use public Workforce Innovation and Opportunity Act (WIOA) dollars and other funding sources to provide employment services to local workers and employers throughout the region. 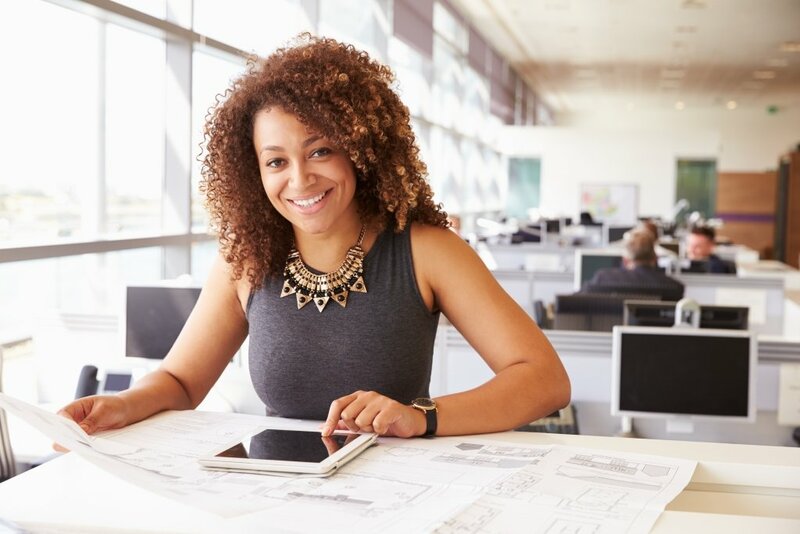 In 2015, Congress passed the Workforce Innovation and Opportunity Act (WIOA), a Federal job training program sponsored by the Department of Labor. Through a network of One Stop Centers, WIOA offers employers and job seekers, universal access to free employment and training services. WIOA assists workers with tools to manage their career and helps employers find skilled workers. The primary goal is to increase employment, job retention, earnings, and occupational skills among all employer and job seeker populations including adults, dislocated workers, youth, incumbent workers, new entrants to the workforce, veterans, and individuals with disabilities. How does WIOA work in Virginia Career Works – Northern Region? SkillSource operates seven (7) One Stop Employment Centers in Annandale, Alexandria, Leesburg, Manassas, Reston, and Woodbridge. These resource centers provide free access to numerous career development, training, and support services to benefit both local employers and job seekers. SkillSource partners include Virginia Employment Commission, Northern Virginia Community College, Job Corps, Family and Social Services and Department of Aging and Rehabilitative Services and public schools. How WIOA funding is administered in Virginia?  Virginia Career Works – Northern is the designated regional convener and administrative entity that coordinates workforce training and career services through federal funding from the Workforce Innovation and Opportunity Act (WIOA). We are charged with overseeing and implementing workforce development initiatives and activities throughout the Virginia Career Works – Northern Region. The board collaborates with contracted program operators and workforce system partners to assist employers with applicant screening, writing job descriptions, and training new employees. The board also ensures that classes and career services are effectively delivered for Virginia Career Works – Northern Region youth and adult residents as well as businesses. As part of the Virginia Career Works – Northern commitment to continuous quality improvement, we sponsor training for local workforce development professionals. Check back with us soon for upcoming training sessions. As part of the Virginia Career Works – Northern commitment to continuous quality improvement, we sponsor training for local workforce development professionals. This page is for current and prospective training providers with the Workforce Innovation and Opportunity Act (WIOA) program.